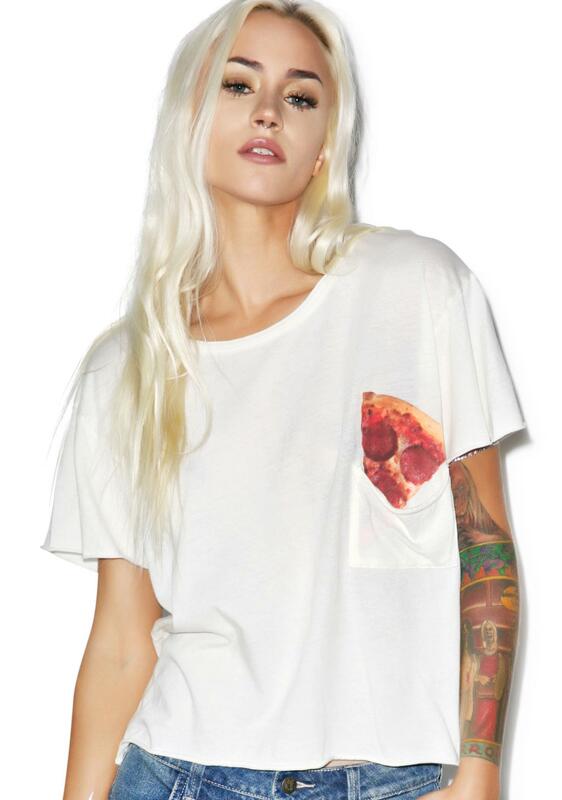 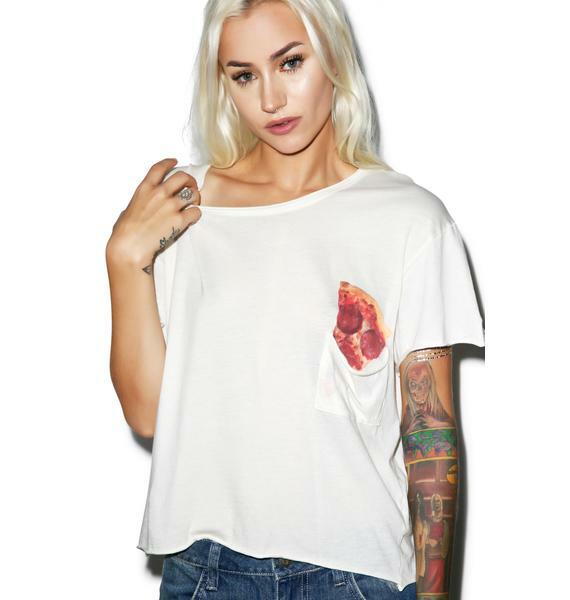 Wildfox Couture Save it for Later Countryside Pocket Tee cuz yew always wanna have something saved for snack time. 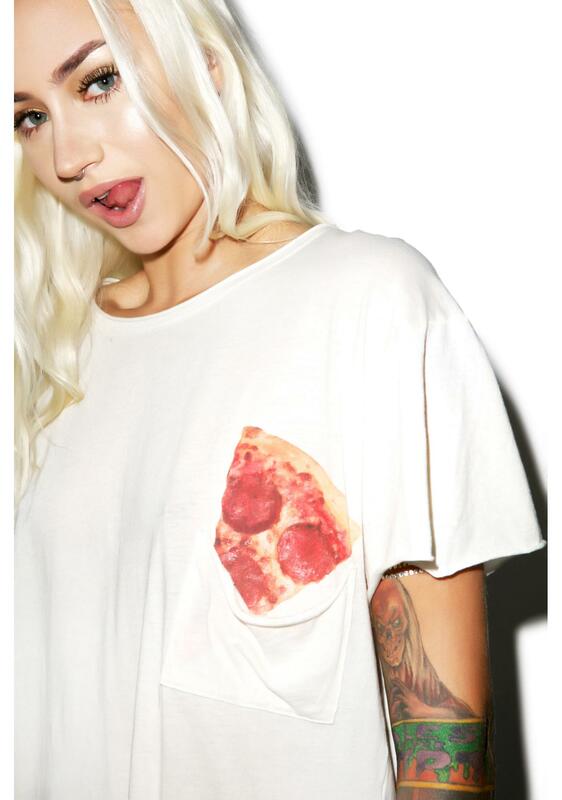 This deliciously soft short sleeve tee shirt shares yer obsession with pizza. 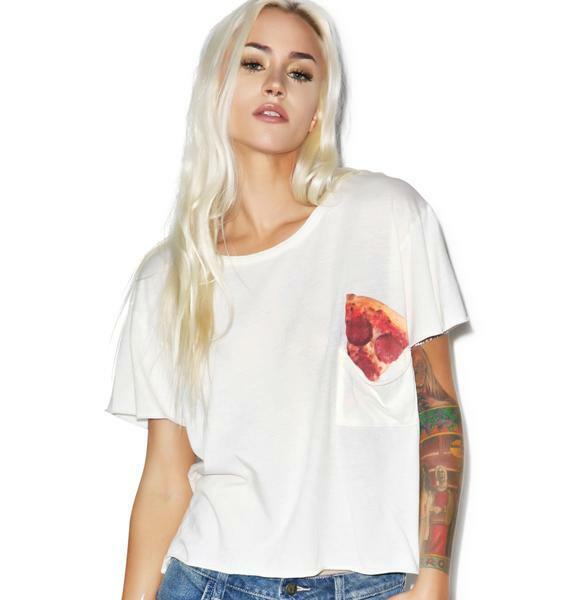 Constructed from a super soft jersey material with a relaxed boxy fit that hangs off yer frame effortlessly with a slight cropped hemline. 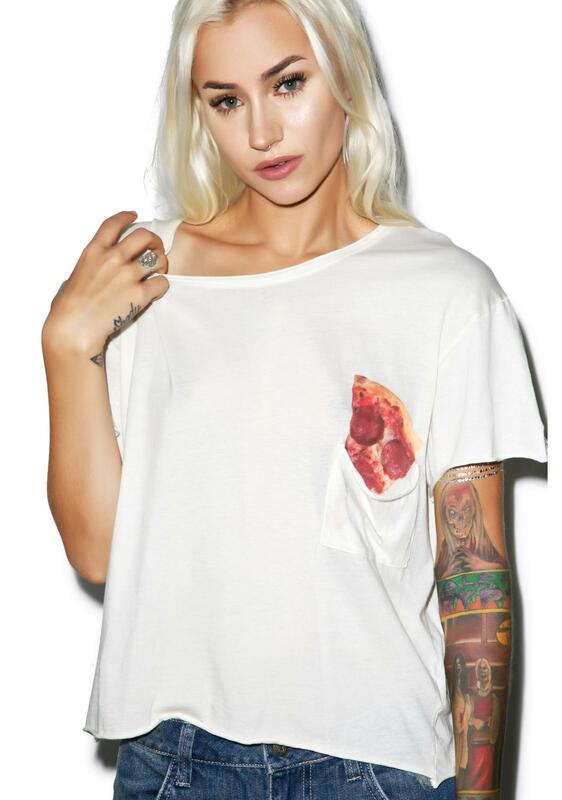 Featuring a slouchy pocket with a printed slice of pepperoni hanging out for later. 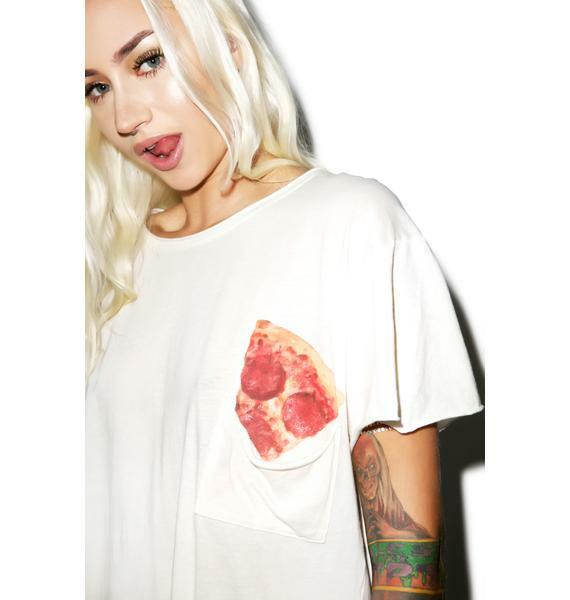 Yer pizza plan is complete bb!